Prepared for a shock? You may well have heard, but apparently the Porsche 911 is not the car it used to be. No longer does it require the deftest helmsmanship to extract the best from; no longer is it a truly small and wieldy sports car, and no longer does it contend with hotted-up saloons (as it once did) like the BMW M3 - the 911 is a grown up, mature, luxurious and comfortable £100,000 sports GT. You might bemoan the fact, but buyers don't; and experience of the coupe would already suggest that the 992 has nailed its brief of improving on the 991: it feels a more capable, more cosseting experience, while also being faster, cleaner and better looking. 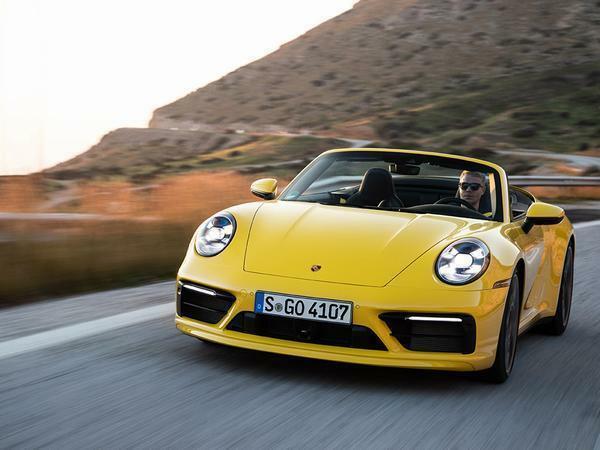 Which is where the argument for the new 992 Cabriolet begins to make sense. 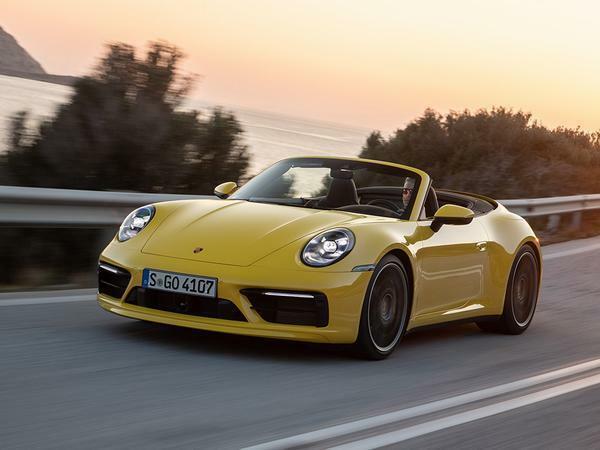 Because if the regular Carreras are no longer bought by sports car purists, if the remit is more broad and the sensations more subdued, then the compromise of a convertible is surely less difficult to bear. 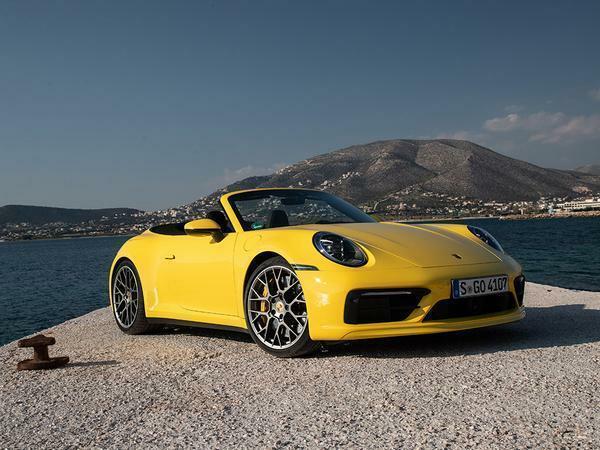 Plus there're the various advances in chassis and roof technology which make convertibles less dynamically flummoxed than not so long ago; don't say it too loud, but the 991 Cabriolet, even in its original 3.8-litre 'S' form, was quite well received on PH. It's all the completeness of a modern 911, further updated and with - in theory, at least, the added appeal of the open air. If Coupe and Cabriolet are closer than ever, might the drop-top be the one to have? That would be spme shift in the status quo. Some things about 911 convertibles never change, though; despite the styling tweaks and a reworked roof, there's just too much back there with the lid down for the 992 to look truly beautiful - a front-engined AMG GT or mid-engined Audi R8 is more successfully decapitated to these eyes. And although it's a physically larger car than before, meaning a more spacious cabin up front, there really isn't room in the back of a 911 cab for much beyond shopping. And the wind deflector. This car is heavier than before, too: the previous iteration of this two-wheel drive Carrera S with a PDK gearbox was 1,530kg at the kerb, and now it's 1,585kg, with the 70kg penalty over the coupe maintained from the 991. More equipment, extra cogs in the gearbox, larger wheels and a physically bigger car explain the weight gain, if not excuse it. An EU kerbweight with driver is 1,660kg which, to be frank, looks jolly lardy for a two-wheel drive 911 Carrera S Cabriolet. See, hard to let go of a 911 being compact and light, isn't it? For reference, those aforementioned rivals are 1,670kg (AMG GT) and 1,795kg (R8), so the 911 is still the lightest, in the same way a key lime pie might have fewer calories than a chocolate cake or a treacle tart - none is exactly virtuous. With a roof broadly similar to that in a 991 - there's magnesium used in the construction, it can be operated at up to 31mph and it's now a second quicker to do its thing - it might be worth refreshing the 992 details that are carried over into this model. Initially only Carrera S models will be offered, in rear- or four-wheel drive, with the eight-speed PDK transmission. 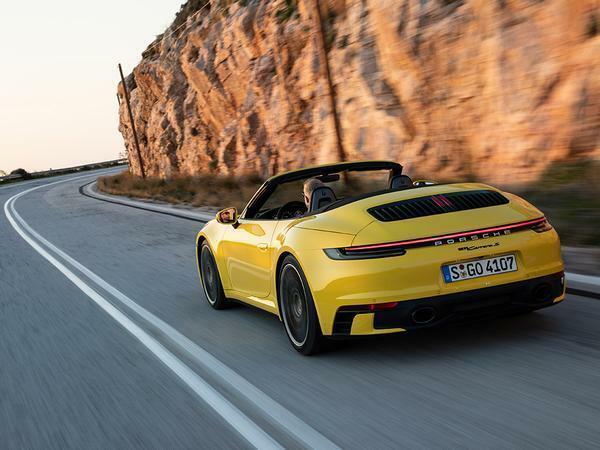 In terms of numbers, that means every single 911 Cabriolet from launch can hit 62mph in less than four seconds, the tenths falling away further depending on how much more money you spend adding four-wheel drive, Sport Chrono or both. Remember when four-speed, Tiptronic 993s were as good as automatic 911s got, once upon a time? Top speed is 188mph for the Carrera 4S, 190mph for the 2S. On the road, entirely unsurprisingly, the convertible feels very much like the coupe on which its based and from which so much is borrowed. That's meant entirely as a compliment as well, because the 992 is a car of such enormous talent that it's hard not to be convinced. Indeed with the roof up its impersonation is uncanny, the ability to smother external noise remarkable and the only clue as to this car's true nature being the roof buttons on the transmission tunnel. It even shares the coupe's slightly excessive tyre roar, though when 305-section rear tyres (on 21-inch wheels) are fitted it's probably unreasonable to expect less. Roof down, the 992 is - prepare yourself for another surprise - entirely pleasant, unruffled, unflustered and in control. Naturally there's wind noise, but actual buffeting is negligible and the wind deflector is great for reducing the din, if doing nothing for the looks. As something to drive around the seaside in the sunshine for a little too long and get a red forehead in, the 992 is perfect. And if you want to actually drive it like a sports car? By and large, this 911 feels incredibly similar to the coupe, which is perhaps the highest praise that can be bestowed upon it. And makes its case even stronger to the average buyer. So yes, it won't writhe in your hands, dance around its limits on the road and enthral with its idiosyncrasies, but the 992 will deliver a precise, unflappable, accurate and ruthlessly well engineered drive. Everything just feels so meticulously developed, from the brake pedal to the impossibly quick gearchanges, that it's hard not to be extremely impressed. That's not to say, however, that there isn't the occasional jiggle or jostle from the structure when the going gets particularly tough, the limits just about discoverable if weaknesses are being sought out. For what's ostensibly a soft top, the rigidity is extremely good, though, something that the new engine mounting location is said to contribute to. But put it this way: the people driving hard enough on country roads to discover a bit of flex in this 992 won't be buying one, and actual customers (in all probability) either won't realise anything is amiss - or care much if they do. Instead they'll appreciate a ride of largely exceptional composure, a turbo engine that will deliver huge performance from no revs, a flawless PDK gearbox and a sense of luxury from being sat in it that 991 customers could only ever dream of. For many, that will most probably be enough. And yet there is most certainly still appeal here for keener drivers - honest. That updated flat-six turbo makes all sorts of fascinating noises, chuffing, sneezing and whooshing like it's a boosty old 911 race car. The freeness with which it revs is something to behold as well, made all the simpler by that gearbox. 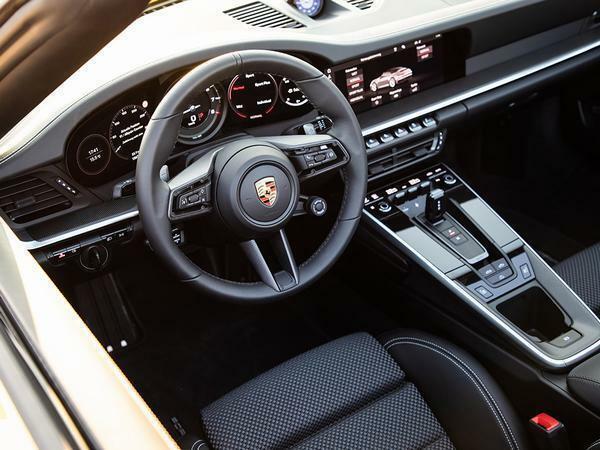 With the optional four-wheel steer the car has incredible (yet entirely cohesive) agility, eager and direct in a fashion your 911 cab preconceptions say it shouldn't be. If the systems do have to intervene they do so in a subtle, precise fashion, the electric steering is still way ahead of the others (plus is near impervious to any corruption) and the whole car feels as honed, resolute and complete as we've come to expect from a contemporary Porsche. There's very, very little lost from probably the most accomplished 911 yet produced, with the additional appeal of sunburn - it's quite some achievement. Those who prefer their 911s a little more analogue and with a roof (we'll count ourselves amongst them), will find the same issues - considerably mitigated though they are for the 992 - in this cabriolet as they always have. 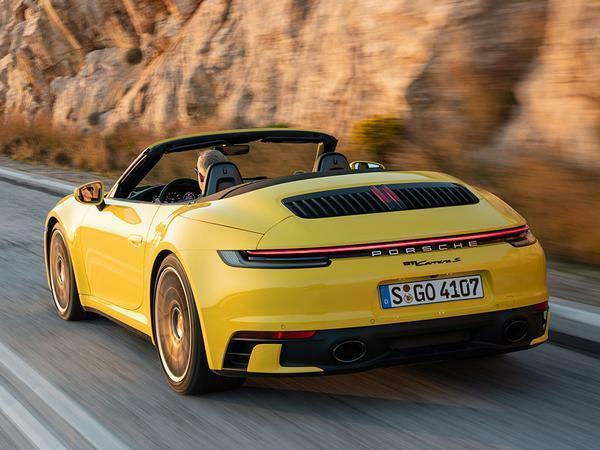 A sliver of urgency has gone, as has a shred of structural integrity, and the image factor associated with 911 cabriolets doesn't look like changing any time soon. 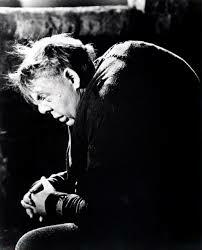 But, quite frankly, they represent a very tiny section of any 911 customer base. 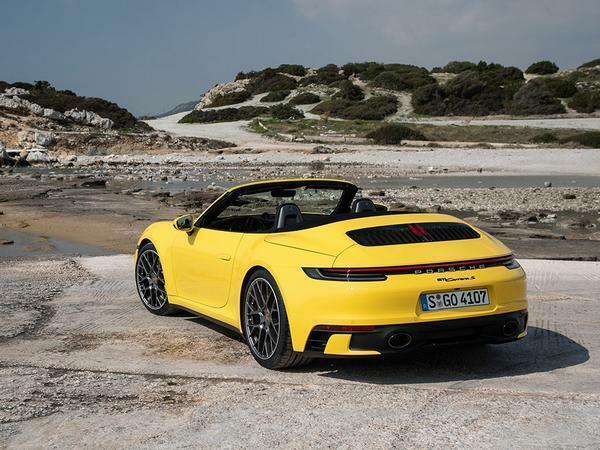 Those intrigued by the 992's latest, greatest blend of performance, usability, technology and innovation will be pleased to find that's damn near all intact with the drop-top version. Purists will look elsewhere, as they always have, but for a sports car that so comprehensively covers all the bases at around £100,000, the verdict here is as it was for the 992 coupe - it really is hard to think of anything better. If they could just make the rear deck a little flatter (I know they can't) then it would appeal more to me aesthetically. That yellow does it no favours either! As the article says, this is a very long way from the delicate, precise, light beauty of the old 993. Doubtless many will love it but this isn't progress of a type that true drivers will like. When did car companies decide that the way forward was greater technological sophistication, greater size, greater weight and ever-less driver involvement? The 911 is a prime example of the rot that has set in but is far from being the only example of it. Porsche were nearly bankrupt when the 993 was contemporary. I don't know if it's the colour or not but the back end of that looks a bit plastic. The bumper isn't terribly nice and the black vents in the rear deck would be so much better colour coded. I like the light bar as well that features on all the new models, but not on that one.